Designed especially for the Indian market, the two new air purifiers have been co-designed by Honeywell's India and China team, while the units currently are being manufactured in China. 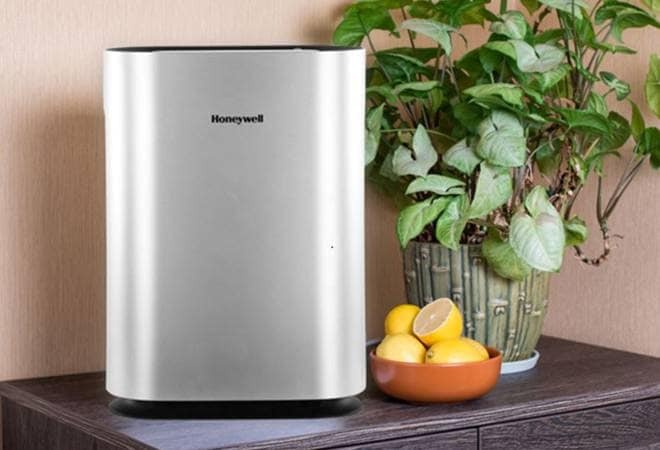 With rising concerns over air quality in India, expected to further deteriorate during the upcoming festival season, Honeywell has announced the launch of two new indoor air purifiers for the Indian market. The Honeywell Air Touch I8 and A5 models will feature a three-layer filter that eliminates large dust particles, bacteria, formaldehyde, harmful gasses, organic computers and offers a PM2.5 removal efficient of great than 90 per cent. These air purifiers come with a pre-filter, HEPA filter, and the company's patented HiSiv technology, or an activated carbon filter. These new air purifiers come with a touch panel with controls and indicators such as variable fan speed, an air quality indicator, child lock, and sleep mode. Honeywell, which is a connected home technology brand hasn't added smart connectivity to the new purifiers. Unlike other brands offering app control, this feature is only available in Honeywell's high-end air purifiers. However, Honeywell claims that the new air purifier comes with real-time ambient air pollution measurement, which most air purifiers do not offer. The A5 is the affordable model with A5 White priced at Rs 11,490 and A5 Gold at Rs 12,990. The Air Touch i8 White will retail for Rs 20,990 and the Air Touch i8 Gold will sell for Rs 22,990. Vikas Chadha, President at Honeywell India, said, "Most of us are unaware that indoor air pollution poses a serious health hazard. We want to educate people that staying indoors doesn't necessarily mean the air you're breathing is safe. However, there are affordable technologies available now to help tackle this issue, even more for those who need relief from respiratory ailments, asthma, allergies, and other long-term breathing and health problems. The technology used in our products is recommended for homes by the Indian Medical Academy for Preventive Healthcare." When Business Today questioned Chadha about make in India plans for the air purifiers, he said: "Honeywell has seven manufacturing sites in India which are doing a lot of local manufacturing. At any appropriate time, the category emerges and reaches a scale, we will take a call at that time." Honeywell kickstarted its air purifier business in India last year and has registered a growth of 5x since then, and claims to be amongst the top three players. Honeywell has also launched a national awareness campaign on hazards of indoor air pollution and aims to grow by 5x this year. Offering air purifiers for homes, cars and institutions, the products are available on commerce platforms including Amazon, Flipkart, and PayTM, and offline channels, including large and small format retail stores.